Tell us what you think of our website, services and products. Browse our selection of bedding for a luxury pillow, get inspired by our range of cushions or find a cushion pad in any shape, size or filling and then get the perfect fabric to make a new cover or we will be happy to make it for you. 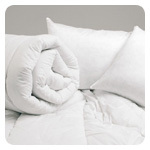 Our latest classic collection of quality pillows in an array of fillings and sizes. View our latest designer cushions and find the perfect match for your interior design. 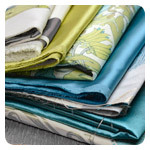 A beautiful mix of designer fabrics in different patterns and colour shades for all your furnishing needs. 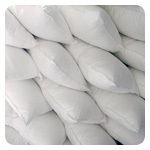 Come and see one of the largest range of cushion pads online, choose your shape size and filling. 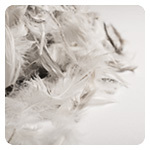 Look through our broad range of fillings, from our synthetic fibres and foams to our natural feathers and wool.